RALEIGH, North Carolina -- During a 911 call, Matthew Phelps claimed he killed his wife in a dream and woke up to find himself covered in blood and her dead on the floor. 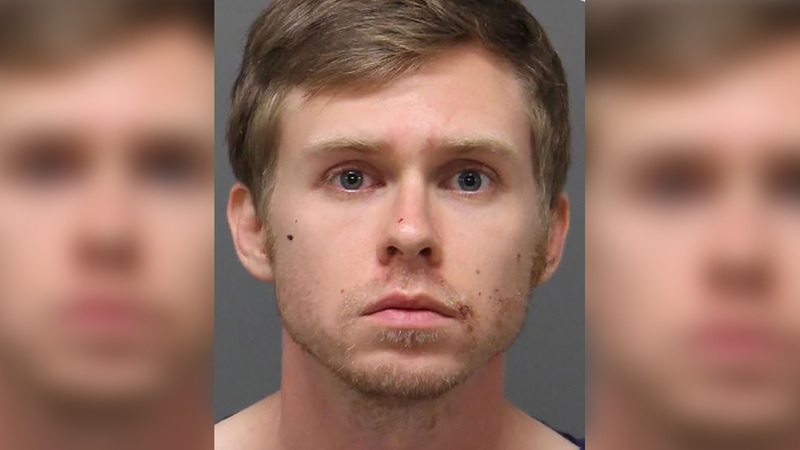 Investigators in Raleigh, North Carolina have charged 28-year-old Matthew James Phelps with murdering his 29-year-old wife, Ashley-Nicole Phelps. Stephanie Tubbs told ABC11 that she and Lauren sold Scentsy products together and that they were like family. "I think I'm in shock, to be honest," she said. "I just was talking with her last night on video and had a normal conversation and to hear what has happened is absolutely horrible." During his 911 call, Phelps claimed he woke up to find his wife dead on the floor. "I have blood all over me and there's a bloody knife on the bed, and I think I did it. I can't believe this." Phelps is being held without bond at the Wake County Detention Center.